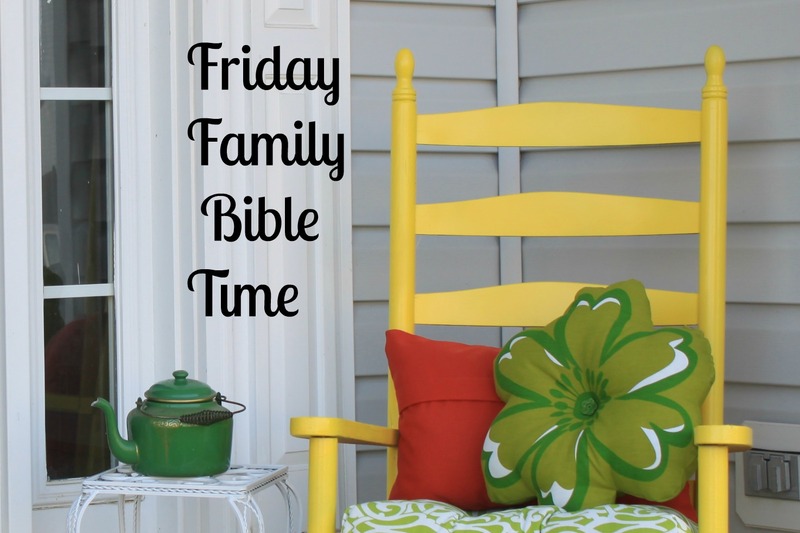 We are on day 4 of creation for our Friday Family Bible Time. This week we will look at how God created the sun, moon, and stars (and the seasons of the year, as well!). I love how God created LIGHT before He created the sun. That is absolutely amazing to think about! This week we will discuss how our universe points to an awesome creator and how God wants US to shine like stars in the universe. It is a new month . . . so if you have not yet gotten your October prayer calendar, get it now. 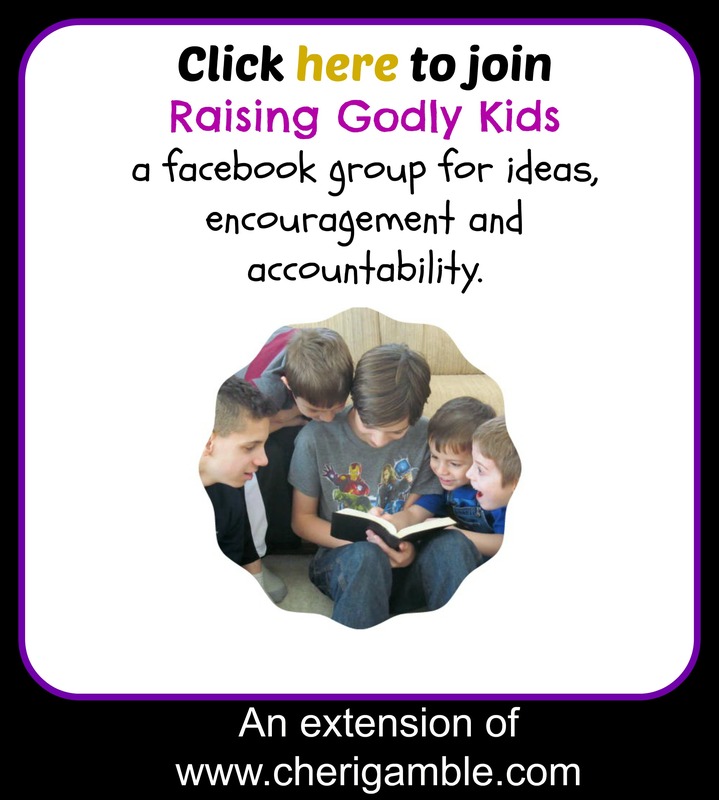 It only takes a couple minutes a day, and it can really add a lot to your child’s prayer time. We use the calendar every day before lunch. The other day I forgot to get the prayer calendar out, and my four year old pointed to the refrigerator where it was hanging and said, “What about that?” And it’s not just the four year old. It is quite common for us to have two or three of our kids volunteer to pray for lunch now. Our lunch time prayers have become much more meaningful. 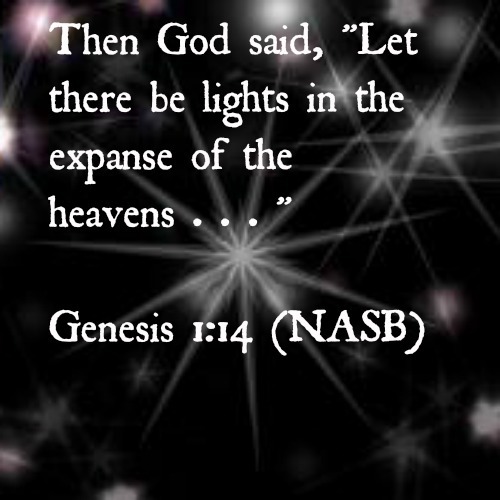 Theme: On day four of creation, God made the sun, moon, and stars, and He wants us to shine like stars in the universe. It would be really cool to read these Bible verses outside at night where you can see the stars while reading. However, since this is not possible in many places, try to recreate the solar system in your house. Turn the lights off in the house and shine a few flashlights up on the ceiling to make “stars”, or get glow in the dark stars to hold up while the Scriptures are being read. (The one who reads can use a flashlight to help him see the words.) You could also read the Scriptures to a musical background . . . perhaps one that reminds you of outerspace. Here are two sites where you can find some space sound effects to use in the background: (Just make sure the reading of the Scripture is not downplayed – sound effects should enhance the mood, not distract from the reading). 1. What did God create on the fourth day of creation? 2. Can you name all the planets in our solar system? 4. According to Philippians 2:14-15, how are we supposed to do all things? 5. What would this look like lived out in your life? 6. Why do you think we appear as lights (or as stars in the universe) when we are in the world? 1. Go outside in the country at night and star gaze. Count all the stars you can see. See if you can find any constellations. Discuss how God created the stars and how He wants us to shine like stars. 3. Get a package of glow in the dark star stickers and stick them on the ceiling in your child’s bedroom. Discuss how God created the stars and how we are to shine like stars. Remind your child of this whenever you look up at the stars shining on the ceiling. 4. Make star shaped sugar cookies. Decorate them and then share them with a neighbor. Have each family member cut a large star out of construction paper or cardstock. In each point of the star, have each family member write a specific prayer request for that week (or, if you want to focus on praise, have each family member write one amazing fact about outer space on each point of the star). Then spend time praying together, using the stars as a guide. After you pray, punch a hole in the top of each star, run string or yarn through them and attach them to a coat hanger to make a star mobile. Hang this somewhere in the house where you can use it to help you in your prayer time this week. 1. Make star cookies and deliver them to a local organization (such as the fire department or police department) as a way to thank them for their hard work in your community. 2. Take care of your planet by picking up trash. 3. Our verses this week told us to do everything without complaining or grumbling. Pick a service project that you could do and then do it without complaining or grumbling!!! 4. Paint or draw a picture of the universe. Choose a Bible verse to put on it and then make or buy a frame for it. Take these pictures to a local nursing home and give them away to the residents. Previous Previous post: Women helping Women: Are you ready to be an Elizabeth?